As MO Governor, what would Eric Greitens value? Eric Greitens may run for Governor of Missouri on the Republican ticket: But which kind of Republican would he be? Greitens is one of the most intriguing and promising candidates that Missouri voters in general, and Republicans in specific, have come across in years. He has a resume that is the envy of anyone, particularly someone who wanted to run for political office. Greitens graduated from Duke University and went on to be a Rhodes Scholar. In 2001, he attended the Naval Officer Candidate School and is currently a lieutenant commander in the United States Navy Reserve. He was deployed four times to Iraq, Afghanistan, the Horn of Africa and Southeast Asia. He served in the elite Navy Seal Team 6. He has done humanitarian work in Croatia, Rwanda, Zaire, Albania, Cambodia, Mexico, Bolivia and India. Since returning to the United States and St. Louis, he has founded a remarkable non-profit organization for veterans called The Mission Continues. Now, Greitens is close to announcing his candidacy for the Republican nomination for Governor of Missouri. There is so much that he could bring to the office because of his wisdom and experience. He knows what excellence is; he has written about it, and more importantly, he has practiced it. 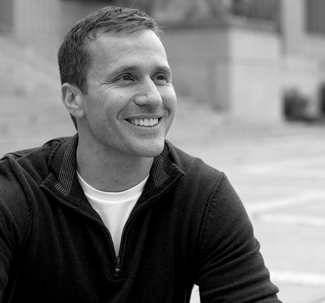 Greitens’ books and lectures frequently focus on the importance of values. His first book was called Strength and Compassion and his most recent is Resilience. Considering the acrimony between different groups of citizens in Missouri and the relative dysfunction of the state’s government, including its governmental structure at the local level, a candidate with a strong set of values is a requisite for progress. These comments raise one obvious question:If Greitens wants to be a change agent for the positive and to advocate values that can help lead Missouri, why is he running as a Republican? For decades, Republicans have said that they are the party of values. But are these the noble values about which Greitens writes? I don’t think so. Republican values also include a very narrow view of what constitutes a family. If Greitens is elected governor, will he embrace the Republican view on “family” and oppose gay marriage? As stated above, Greitens is extremely well-educated. Will he join close to half of Republicans who do not accept the concept of evolution or the reality of climate change, caused in part because of human actions? If so, is that what he means by values? Another issue that would face Greitens as governor would be what to do about Ferguson, and more broadly, about race relations throughout the state. While the United States Justice Department concluded that there was not sufficient reason to charge Ferguson Police Officer Darren Wilson with any crime, in a complementary report, it described the massive and systemic racial prejudice in Ferguson and other North County communities. Would Greitens stand by other Republicans who favored the Supreme Court’s decision to strike down Section 4(b) of the Voting Rights Act of 1965, thereby making it more difficult for African-Americans, other minorities, and the elderly to vote? On an issue that plagues both parties, what is Greitens going to do about the excessive and almost limitless money in politics? He already has $300,000 in his coffers, without even officially announcing his candidacy. If ever we had a candidate in Missouri who did not need big money to run, it is Eric Greitens. His reputation is essentially as flawless as his resume. He is well-known to the media and is always portrayed in a positive light. He has a number of interest groups ready and able to work for his candidacy. Using the essentially free services of the internet, he can reach virtually all voters in Missouri. A low-budget campaign would stand in stark contrast to the one announced Republican candidate, Catherine Hanaway, who is swimming in cash, including a $1 million donation from a single individual, would-be kingmaker Rex Sinquefield. I had the pleasure of meeting Greitens upon his return to St. Louis. Several times, he has met with high school students with whom we work. In those gatherings, he stressed the importance of both “strength” and “compassion.” However, there seemed to be a little emptiness to me on the compassion side. Yes, he expressed the compassion for those suffering and backed his words with considerable action on his part. What I didn’t hear from him was a concern for the “common good” that included a call to action, not only by individuals or organizations, but by government, which represents by far the strongest “response team” to any problems we have. Greitens clearly recognizes the many problems that we as a society currently face. He is a remarkable change agent when he is in the private sector. But if he wants to serve in government, then he must treat that government as the most valuable tool that he could have in remedying society’s inequities. Previous Post:Is it too much to ask for a sober Secret Service? Next Post:I’ve changed my mind about Israel. Netanyahu is to blame.